- Add a getAllIssues method to the TicketManager. Either way, now you're not having to acquire an object from an object and I feel that helper methods like your retrieveUnresolvedIssues are code smells. 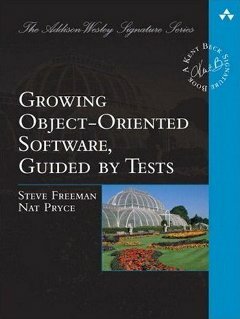 We should be focused on calling methods on objects. Even if you don't have access to the TicketManager, you can still wrap that object to provide the functionality you need here. The first method is uncomposed. The proposed change involves composing the method. How does composing the method remove the need to create all the mocks? It looks to me that the test prep is still the same. Also dave mentioned that the compose method refactoring (he calls it a helper method) is a code smell. What code smell do you think it is? I thought about it a bit and I think I answered my own questions. The code smell is possibly lazy class; it is impossible to tell without more context. IssueHanlder, TaskManager, or IssueManager should own the code for retreiving the unresolved issues. This code could be tested as part of one of those objects greatly reducing the number of mocks required.